EAGLE ALL-STAR! 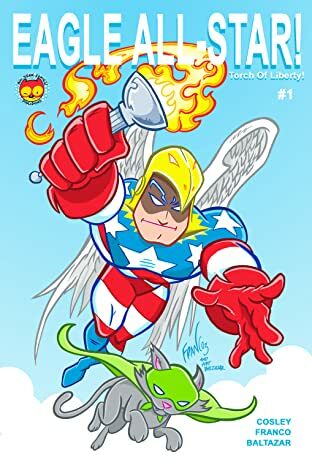 The All-American super-hero we have been waiting for! Along with his sidekick, MIGHTY MEOW, EAGLE ALL-STAR protects the world from the EVIL-Doers of criminal injustice! His first mission is to find the missing Olympic Torch! What a dangerous mission it turns out to be! From the creative minds of Jamie Cosley, Franco, and Art Baltazar! 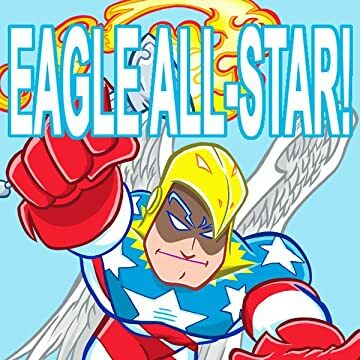 EAGLE ALL-STAR is available for the first time in digital format. Originally published by BlindWolf Studios during the sweet indie days of self publishing! Brought to you in glorious black and white! AW YEAH VINTAGE!! !